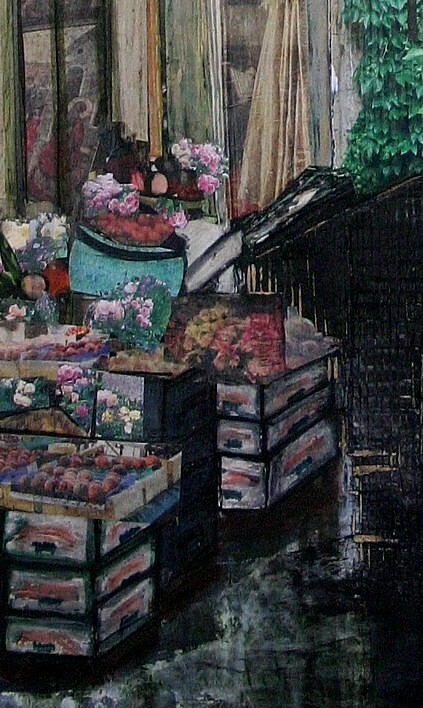 Cortona Fruit Stand, 26 x 36, Acrylic, marker, and collage on wood panel. 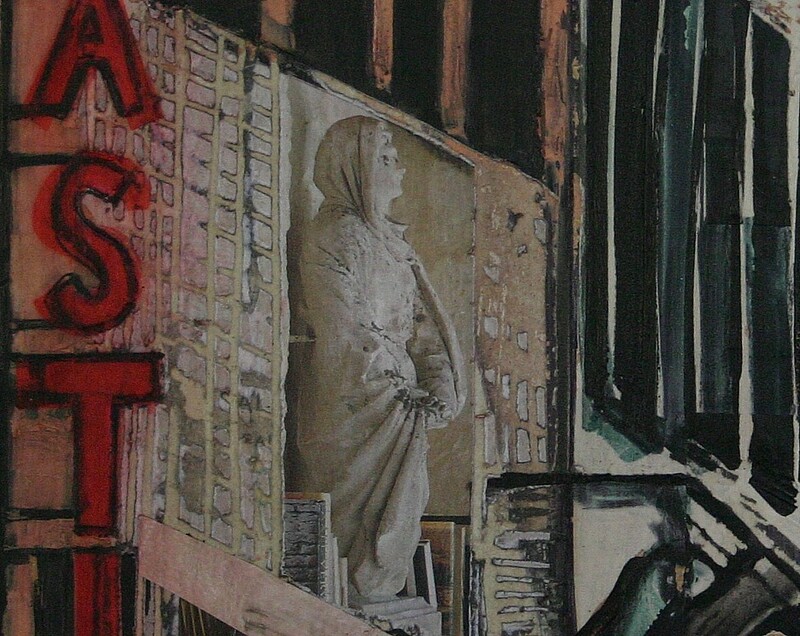 From my own photos. 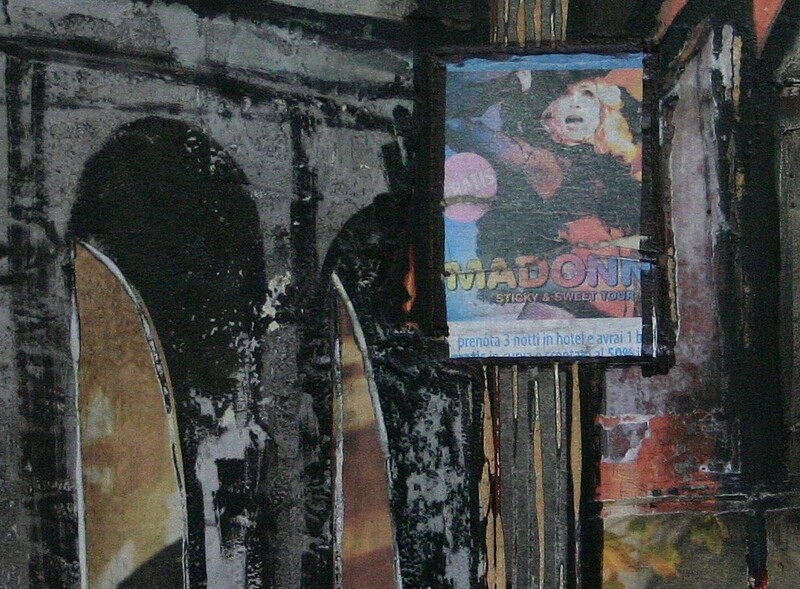 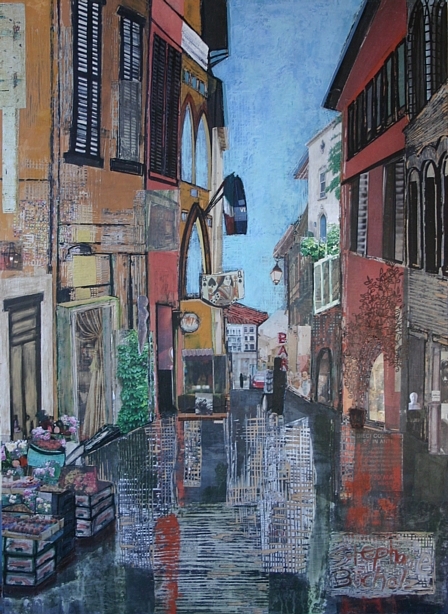 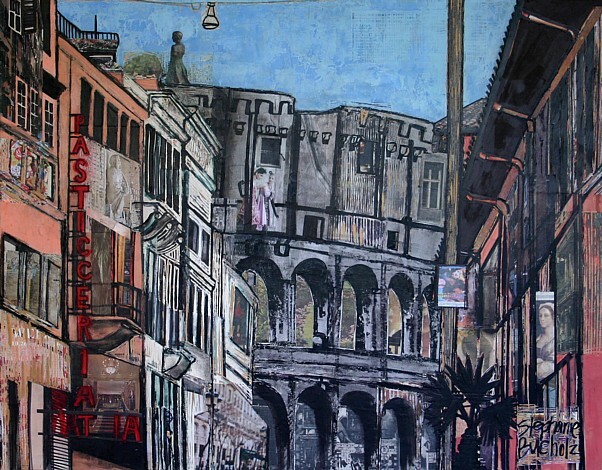 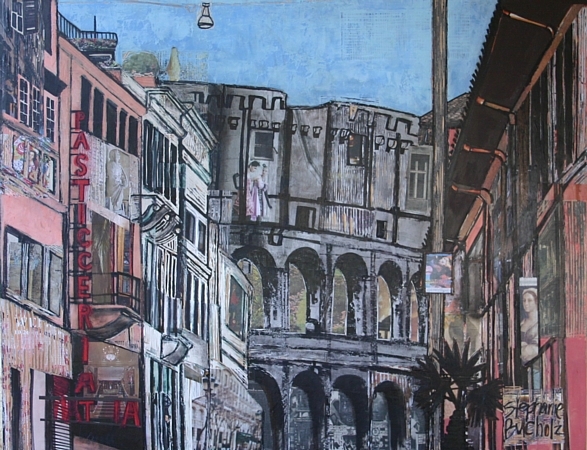 The Colosseum from Via di San Giovanni in Laterano, 36 x 26, Acrylic, marker, and collage on wood panel. 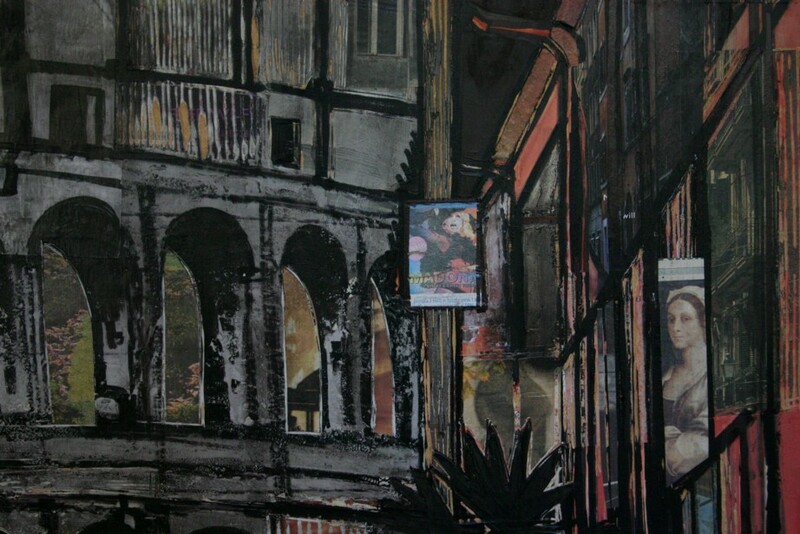 Latest cityscapes, nearly done: acrylic, mixed media and collage on panel. 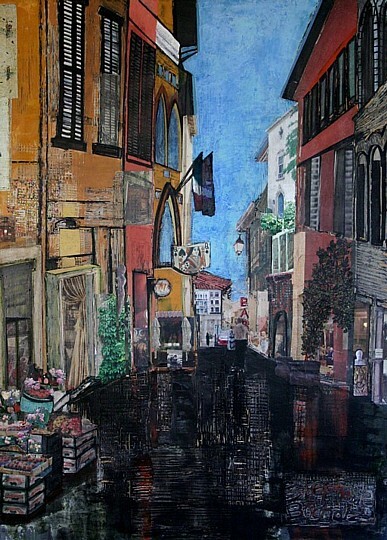 They are 26 x 36 and 36 x 28, and about an inch and a half thick. 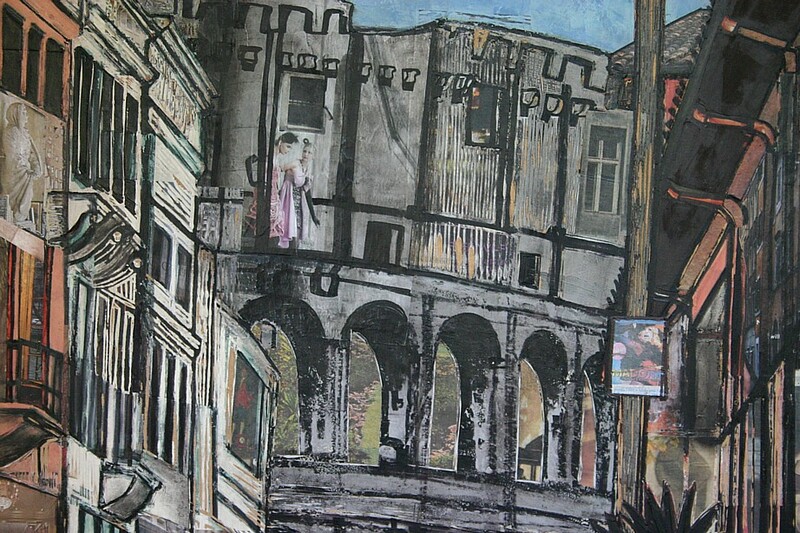 Images are drawn with marker from my own photos. 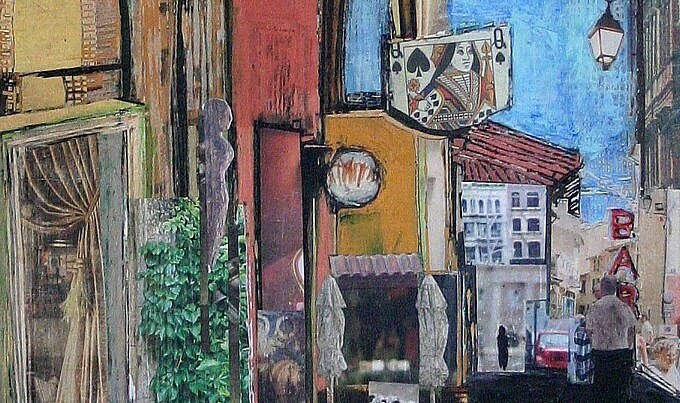 Collage is clippings from The New York Times, various Italian newspapers, and other miscellaneous publications that tickle my fancy (and have the right kind of paper).